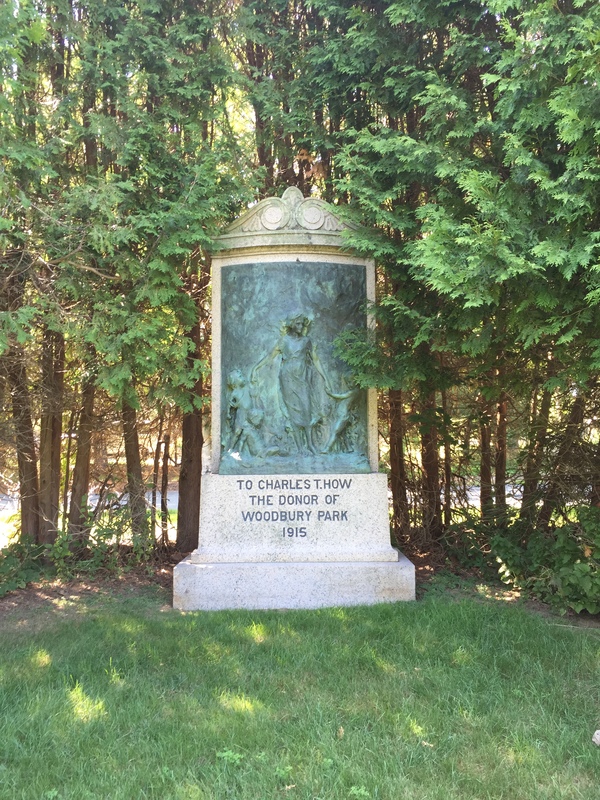 Charles T. How (1840–1909) was a lawyer and real estate developer from Boston who launched the mansion development era of Bar Harbor. Although widely unrecognized today, perhaps because his ventures on the island were more commercial than philanthropic, How played a key role in the evolution of Bar Harbor. After visiting in 1870, Charles How began purchasing vast amounts of land in Bar Harbor, ultimately owning more land here than anyone else. His holdings stretched from Duck Brook at Eden Street, all the way through the grounds of the Kebo Valley Club. By the mid 1880s, Bar Harbor summer visitors were moving out of the large and crowded hotels and into their own cottages. How was ready with land to meet their needs and sold numerous lots for mansions, including Blair Eyrie, Mizzentop, Stanwood, and The Turrets. How lived at the Brunswick Hotel in Boston during the winter and relocated to Bar Harbor for the remainder of the year. He often arrived in April or May, well ahead of other summer visitors, and typically stayed until November or December as he supervised work on his lands. The newspaper always reported him as the first to arrive and the last to leave. Although he owned significant land, he usually stayed with his brother John and nephew Waldron Bates at the Belmont Hotel. His father, mother, and sisters occupied Cleftstone at that time. How was the leader of Bar Harbor society for many years, and among other things, launched the Village Improvement Association. He was respected by the year round residents, and when the newspaper published an annual list of the highest paying taxpayers, How was always listed with the residents. When water supply to the growing town (and his subdivisions) was in jeopardy, How incorporated the Eden Water Company as a competitor to the Bar Harbor Water Company. Although his company never pumped a gallon of water, the threat of competition caused the BHWC to improve its service. During his land development years, How spent over $150,000 building streets in Bar Harbor. He is also credited by many with the first land donation to the future Acadia National Park, donating Fawn Pond to the VIA in 1906. Plaques that honor How exist today at the intersection of Woodbury Road and Cleftstone Road, as well as at Fawn Pond.